Hi everyone. Travis back with more great things to do in Tampa Bay for the holidays. 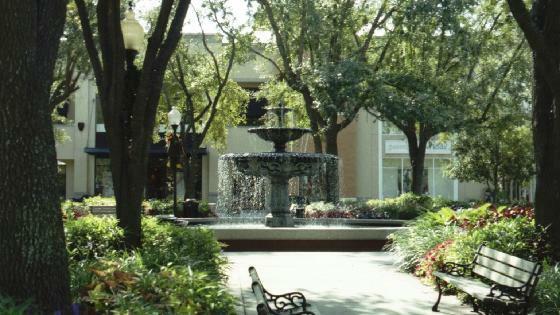 This time, we&apos;re talking about one of my favorite places in all of Tampa Bay - Hyde Park Village! They have a lot going on this holiday season for everyone to enjoy. Celebrate the start of the holiday season at the annual Enchanted Tree Lighting Ceremony, which is Friday, November 25 from 5-8PM. This FREE (that&apos;s right...FREE) family holiday spectacular features a new 30-ft Christmas tree, carolers, hot cocoa, entertainment, kid’s activities, a street festival, beer truck, cigar stand and Santa’s Arrival! Plus, parking is complimentary. Additional parking is available at Sweetbay and Hyde Park Presbyterian Church on Swann Avenue. And, you can visit Santa in his cottage during the tree lighting and on select days through Christmas Eve. And for people like myself.....pets are welcome. Also, Make-A-Wish kicks off their ‘Season of Wishes’ holiday campaign at the Enchanted Tree Lighting Ceremony. Meet some of the courageous children who have been granted a wish and help Make-A-Wish achieve their goal of raising $35,000 this year, enough to grant five wishes for local children. Here&apos;s a little background on Hyde Park village, in case you&apos;ve never experienced this amazing Tampa Bay treasure. Hyde Park Village is an outdoor lifestyle center offering shopping, dining and entertainment with a variety of national and regional shops, restaurants, a fitness center and theatre. Hyde Park Village is open daily and located at the corner of Swann and Dakota Avenues in the heart of the Hyde Park Historic District. Parking is always complimentary. HydeParkVillage.net.